The Sangria is a drink that consists of a mix of various drinks and fruits. Is greatly appreciated in Portugal and Spain. 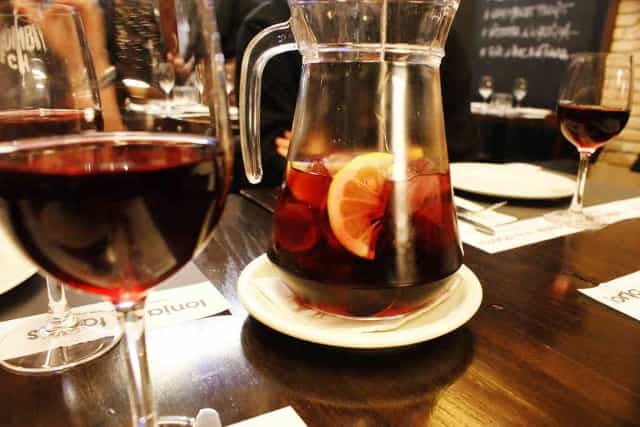 Sangria is a Portuguese and Spanish word that stands for "blood" because of the typical dark-red color of the beverage. There are several recipes and each place has its special way of doing it. On a hot day, it’s excellent and if you add to it a Francesinha ....you got a well spent afternoon . Prices: From 2,00€ to ... - Depends on quality and quantity (1 cup, 1/2 liter, 1 liter,..).